Watch the sun set and the night sky appear at Stardust, a secluded two-bedroom cabin near Pigeon Forge. 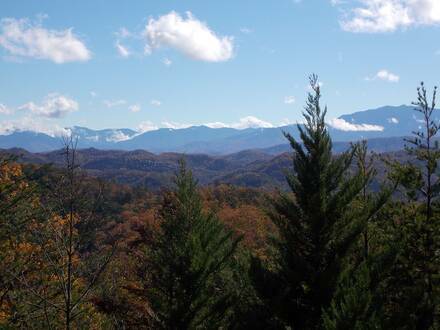 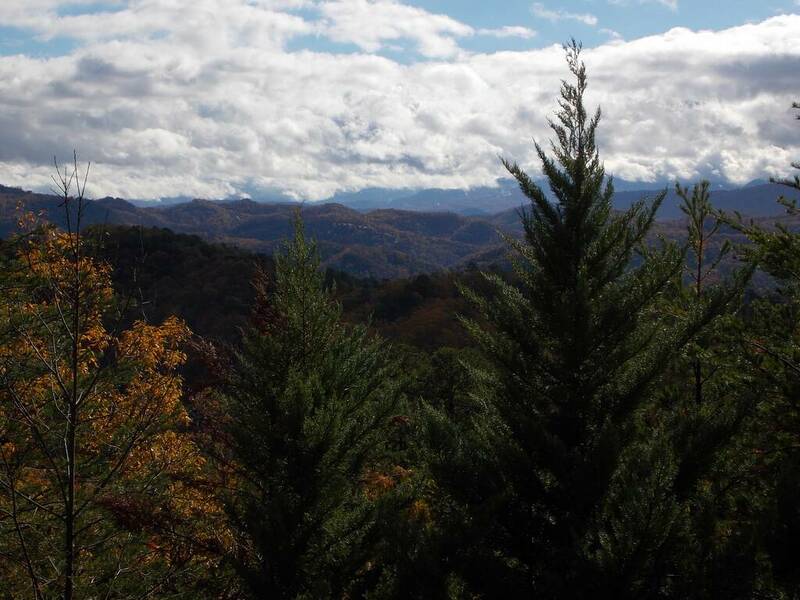 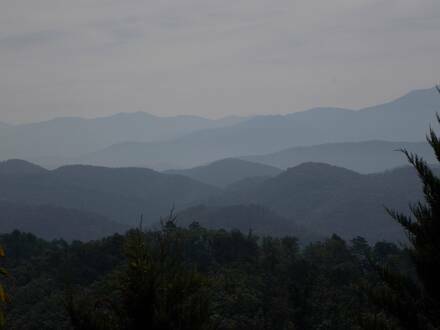 The views of the Smoky Mountains from its porch are spectacular, with range after range of the Smokies visible from its deck. 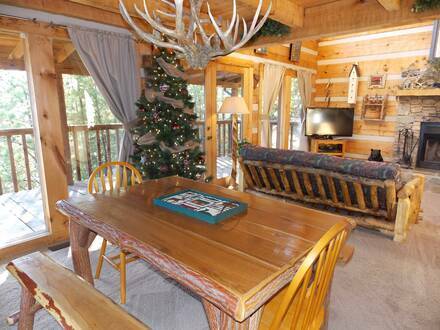 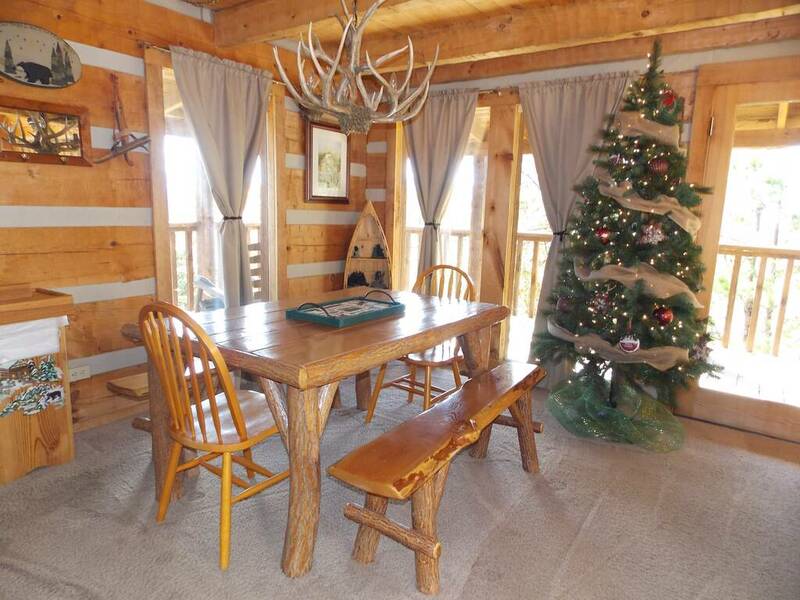 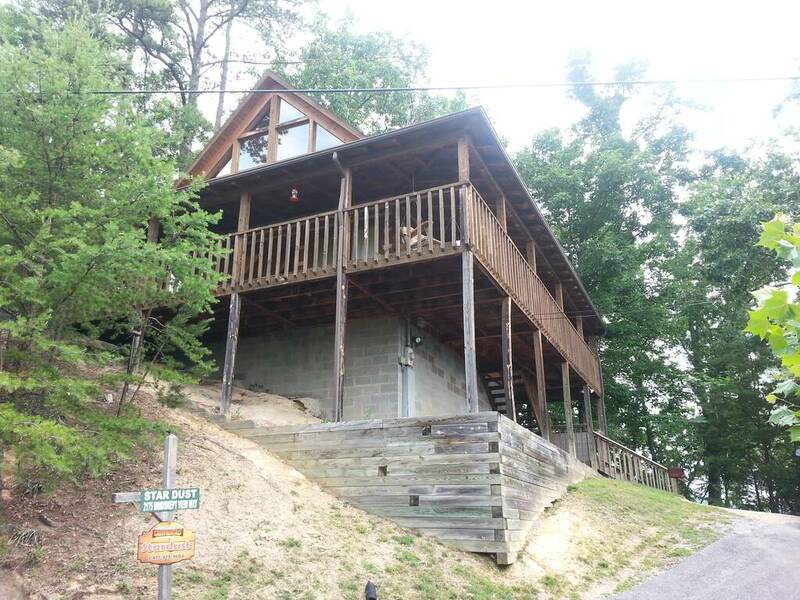 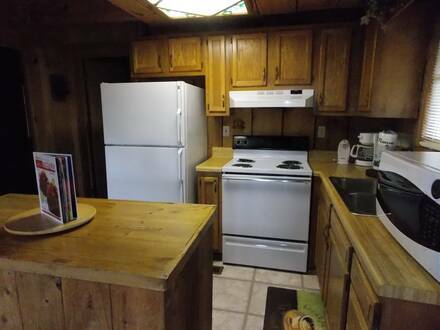 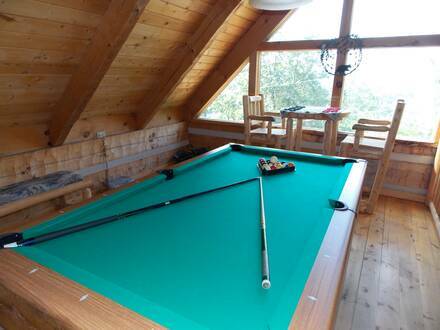 Inside, this spacious cabin has plenty of modern amenities in a rustic setting. 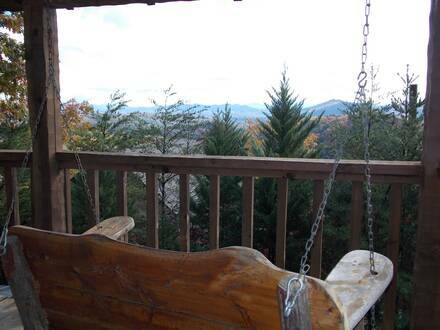 Whatever the season, you will enjoy unwinding on the balcony and relishing its scenic vistas. Sit in the porch swing and let the mountain breezes drift over you or start the morning with your stretching routine or coffee on the porch. 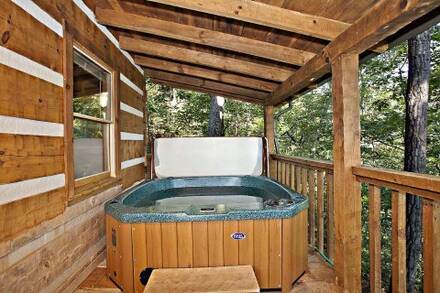 There is also a hot tub, sure to be one of the most scenic places you have ever relaxed. 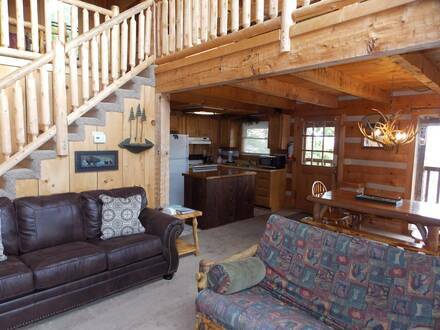 The common area downstairs is open and airy, with one end offering a full kitchen and the other a cozy living room. 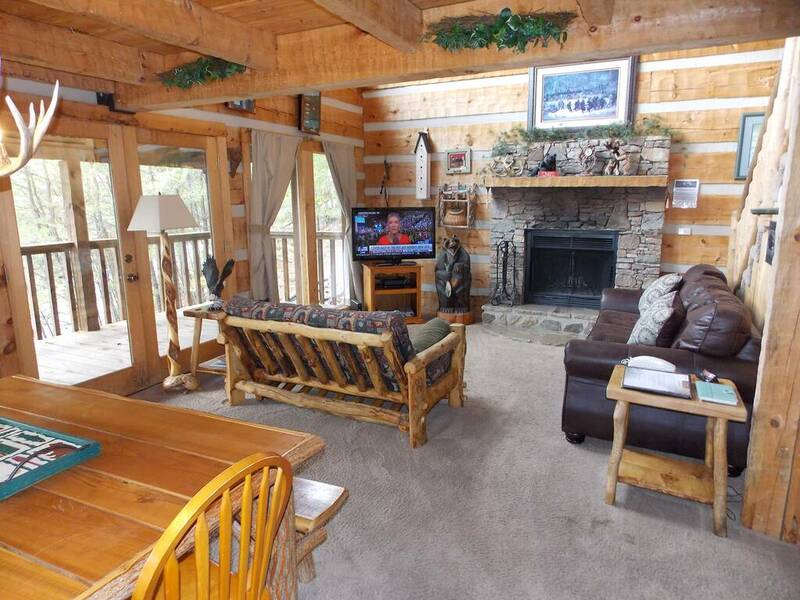 The wide stacked-stone fireplace is great for warming your hands after a long day hiking in the Smokies or skiing at Ober Gatlinburg, though we won’t blame you for throwing a log on the fire in the middle of summer! A leather couch and comfy sofa are nearby, as well as a large flat-screen television. 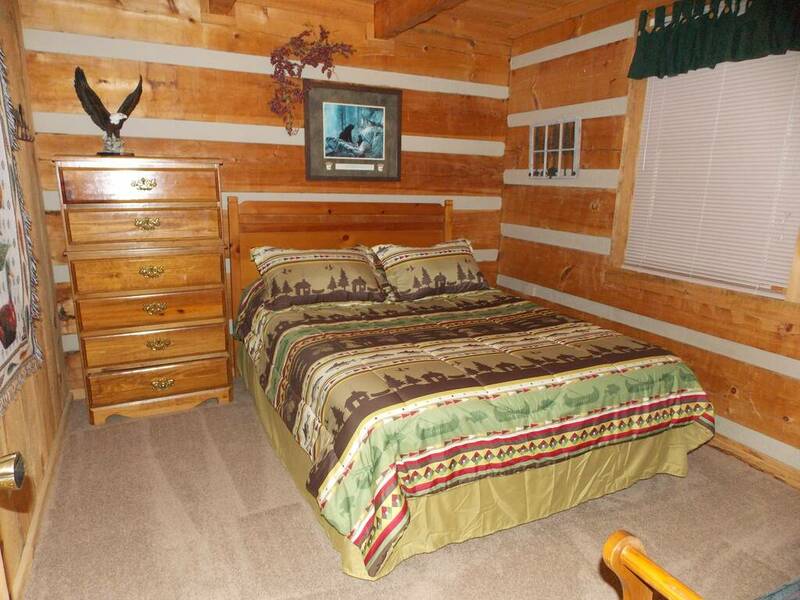 Two bedrooms are located upstairs, one with a king bed and another a queen. Two bathrooms make getting ready easy. 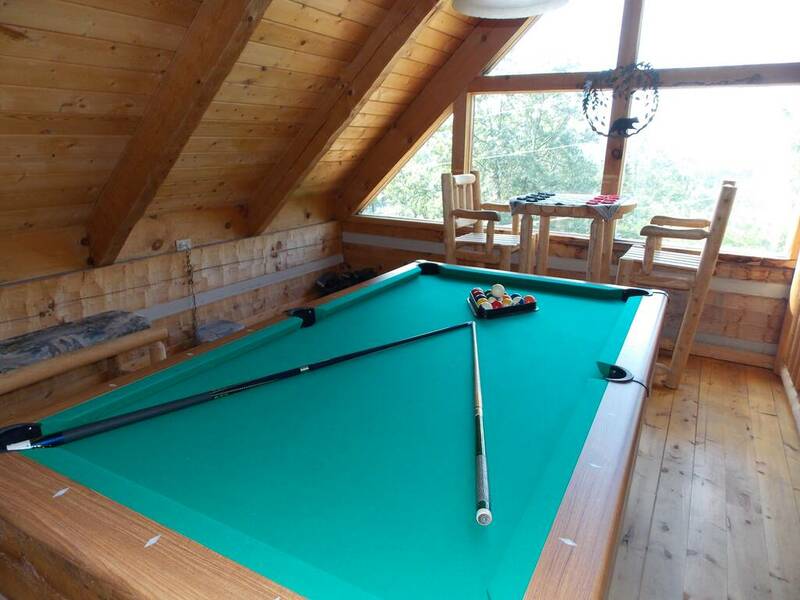 This is one of our pet-friendly cabins, so save on boarding fees or leaving your dog with friends and bring your furry best friend with you. Everyone with two paws receives a free pancake breakfast at Reagan’s House of Pancakes! 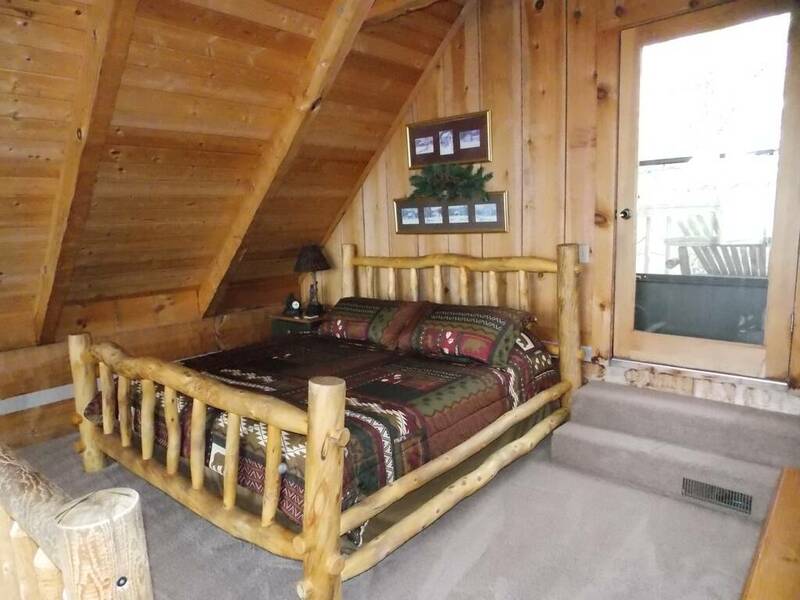 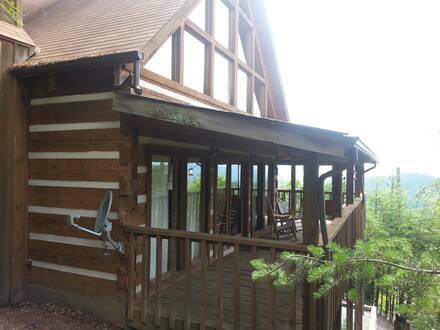 Reserve this cabin today and explore the Smokies and attractions in Gatlinburg, both only a short drive away.